Product #18604 | SKU TA1 | 0.0 (no ratings yet) Thanks for your rating! 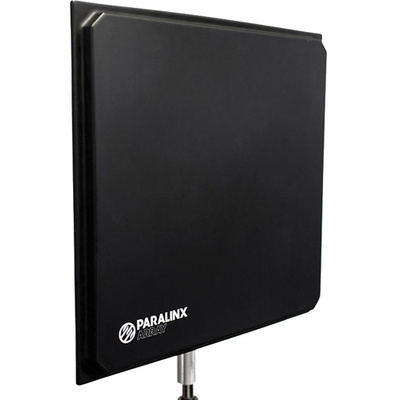 The Paralinx Array Antenna for Tomahawk / Arrow-X Receivers (Gold Mount) connects to the five antenna receptacles on the receiver using included N to RP-SMA cables and boosts reception range to up to 19 dBi. It also increases overall signal strength. This Gold Mount version features a female Gold Mount plate attached on the rear and mounts directly on the Gold Mount version receiver. A speed-rail mounting bracket is also included and will let you attach the Array and Tomahawk/Arrow-X on various-sized poles.